Got a terrific welcome as we arrived in the multi-storey Guinness Storehouse in Dublin last week. The place was surprisingly busy for the time of year but there was still time for the personal touch. The staff that we met were top class, friendly, helpful and informative. Chatty too and unhurried. Take a bow folks. The Atrium is the central focus of the building and is in the shape of a giant pint glass. Some pint! 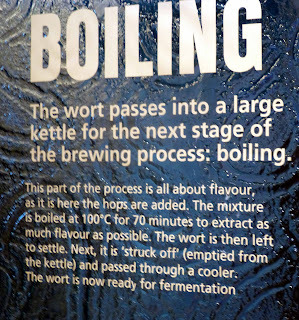 14.3 millions pints to be exact. The self guided tour has a variety of sub headings. 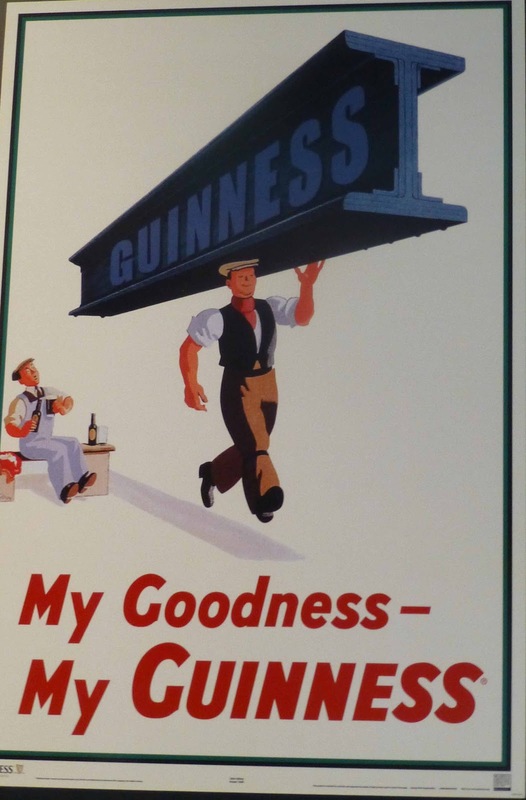 The ingredients (the brewery buys 100,000 tonnes of Irish barley annually) and craft of brewing, cooperage and transportation, advertising and sponsorship are among the subjects covered. As you move up the floors (via a combination of stairs, lifts and escalators), you’ll come to a spot where you’ll learn to pour your own perfect pint. Too many waiting there so we moved on up and had a look at the Brewer’s Dining Hall where a visitor can sample their “world famous” Beef and Guinness stew. Good old days. I liked this cheeky one. The Gravity Bar takes over the top floor and there is a 360 degree view of the city to be enjoyed, if you can find a space. We were patient with our free pint and eventually found a chair and enjoyed the views. You can check all this out before you go on a well illustrated very informative and comprehensive website. You may also book your tickets online at a discount. Having your tickets in advance will save you from joining the bigger queues on arrival. 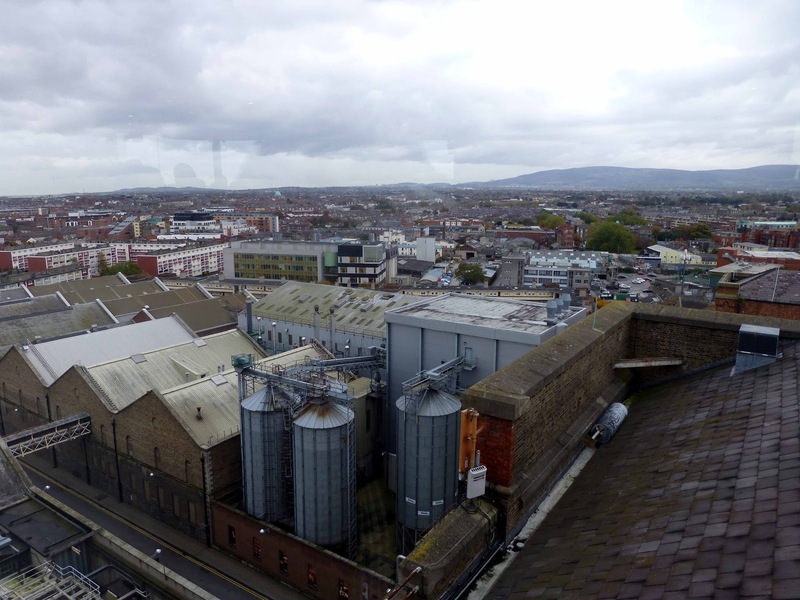 The view from the Gravity Bar. WineAustralia’s John McDonnell showed over a dozen quality wines in Fallon and Byrne last Friday. 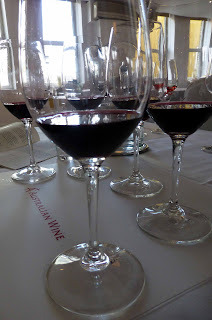 The aim of the tasting was to demonstrate that Australian Shiraz can exhibit both power and elegance and that the country can produce much more than just the big homogenous style. With sixty four of Australia’s wine regions producing Shiraz, it would be most unlikely that they’d all come up with the same big, rich and powerful style. But that perception is out there. Two hours in Fallon and Byrne did much to dispel that myth. No lack of variety in this line-up. 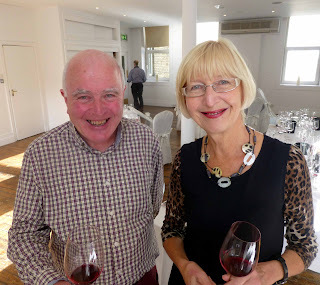 There may have been some gentle disagreement between those present, mainly restaurateurs and writers, about the comparative merits of the individual wines but, overall, the occasion was well worthwhile. Joining John at the top table were Clare Valley producer Tim Adams and wine writer Kevin Ecock. 2008 Ferngrove Shiraz, Frankland River. This first Shiraz was the only one from Western Australia and Kevin Ecock praised it as “an extremely good wine”. Tim said it reflected the “coolness of the district, angular, lean, with age potential.” Already we were talking about different types! 2009 Innocent Bystander Syrah, Yarra Valley. The difference here, at least the one that caused some conversation, was the fact that 2% Viognier was added to this Syrah (the only label that didn’t use Shiraz!). I don’t think the room was overly bothered about whether the minimum Viognier input was noted or not on the label. 2010 Tyrrells Rufus Stone Shiraz, Heathcote. I liked this best of the opening flight. It had nice fruit and spice, an excellent mouthfeel and the best finish. Tim classed it as medium bodied with “nice bright fruit flavours”. 2010 Wakefield Estate Shiraz. This widely available Clare Valley wine from the Taylor family (who believe that great wines are made in the vineyard!) was smooth and fruity, with supple tannins and spice hints in a medium body. 2009 Tim Adams Shiraz, Clare Valley. Tim didn’t use this to fly his own flag but did enlighten us on how water costs and weather variations are mega factors in the area and that winemakers have learned to grown more sustainable crops with better quality but at a higher cost. This one certainly had quality and the price (€16.95) is not that mighty high. Kevin described it as the “standard bearer”. I thought it was a gem with power and finesse, really rounded, approachable, loveable. Brilliant. 2008 d’Arenberg Lovegrass Shiraz, McLaren Vale. This was something different, a blend of areas and a blend of varieties. It had a very inviting bouquet but delivery on the palate wasn't quite as brilliant. Mary Dowey wasn't so keen on it, saying it “suffers in the line-up here”. 2009 Wakefield Jaraman Clare McLaren Vale Shiraz. This was a blend of Shiraz from two different regions and I liked it, the intense fruit, the hints of spice and more, all excellent. Tim though said it needs more time, maybe up to five years, to bring even more out of the fruit. 2008 Tim Adams The Aberfeldy Shiraz, Clare Valley. The good news is that this is another gem, another complete wine from Tim, another with power and elegance combined. It has spent 24 months in oak but Tim guards against the oak taking over. The less than good news is that the 4 acre plot, planted first in 1904, is “naturally dying”. It needs to be replaced and Tim is working on it. 2009 Gatt Hugh Eden Shiraz, Eden Valley. This 100% estate grown smooth fruity beauty was the first of the final flight and got a big reception. Tim: ..absolute cracker.. elegant..poised..a very good example. Kevin: ...layers of interest...gentle and elegant. 2008 Jacobs Creek Reserve Shiraz, Barossa. 2009 Schild Estate Shiraz, Barossa. Soft and elegant on the palate, the Schild was the one I voted for when a discussion arose about the comparative merits of these two. Quite a few had their hands up for this one though there were a few serious hands, only a few, raised in favour of the Jacobs. 2008 St Hallett Old Block, Barossa. The tasting came to a brilliant end with these two, though only the first is available in Ireland. Loaded with flavour and colour, the Blackwell is intense and excellent. "Delicious," said John. But the Old Block was something else. Tim said it was big and bold, “a richer version than the Blackwell, multi-layered with a great balance.” He advised that both were good for long term keeping and that he keeps them himself in his own collection. Yours truly with Mary Dowey. The audience certainly enjoyed the tasting and the knowledge of Tim, Kevin and John. Indeed, John was urged to mount similar events in the future and to use the same formula (the same number of samples to be tasted in a 2 hour time frame). He was delighted to hear that his hard work had been approved and indicated that a similar Chardonnay occasion is in the pipeline. 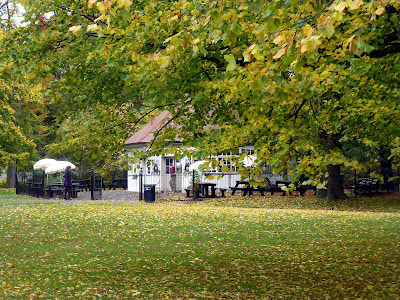 There are many attractions in Dublin’s Phoenix Park, the Zoo the most obvious and popular and perhaps also the biggest. 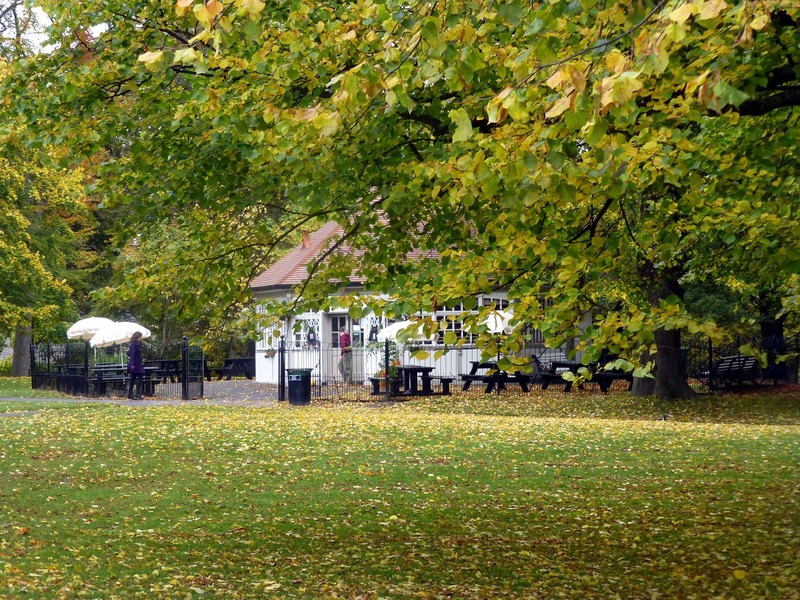 But if you are in the area, keep an eye out for one of the smaller ones, the Phoenix Park Tea Rooms, on Chesterfield Avenue, just across the road from the Zoo entrance. It looked gorgeous from the footpath last week, framed by the golden foliage of the many trees. So we walked in for a quick snack and right into a delightful spot and not just because there were a few squirrels frolicking in the immediate area. 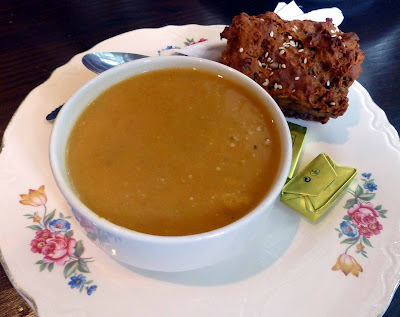 I settled on a bowl of their terrific vegetable soup, served with a lovely tasty brown mini loaf by Arun, all for a fiver. Would have loved to have eaten more there but the soup and the bread fitted the bill at the time and I didn't get a chance to go back there. But do put it on your list if you are in the area. It is hardly 15 minutes from Heuston Station and should be even more of a delight in the summer when you can sit out on a circle of rustic tables. Food & Drink Spotting. Blair’s Inn to Feed Munster! Blair’s Inn to Feed Munster! Guess the weight - see below. Before Halloween became the commercial event that it is nowadays, the Barmbrack, with ring and pea, stick, coin and rag (no HSA then!) was its most popular treat and a huge source of fun to see who would be married soon or who would live forever in poverty! 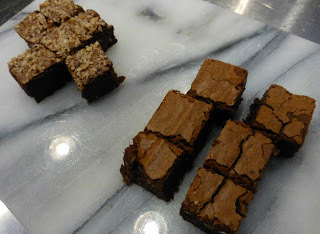 Must say I enjoyed those bracks from the local baker, though one had to be careful and not bite into the ring. The bracks have over the years declined in quality but you can get still get a taste of the real thing at Nash 19 where their in-house baked Barmbrack is one of the highlights of their Halloween food selection and it may be bought in the shop. Head Chef Pam Kelly loves that brack but is also busy incorporating seasonal foods into the menu at the busy day-time restaurant. Pumpkin is being used of course in a number of guises and there is a Squash and Ginger Chutney going with the Loin of Bacon. This time of the year sees the advent of game on the menu and Pam particularly recommends their Beef and Venison Casserole. 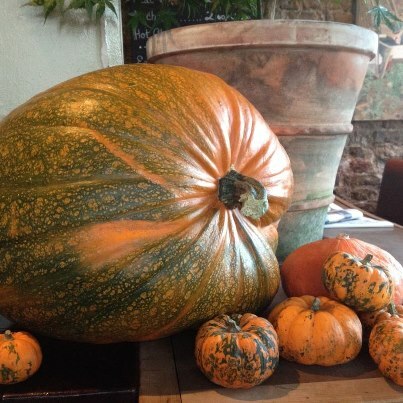 Halloween draws near and the mother of all pumpkins has landed in L’Atitude 51. Guess the correct weight of this oversized gourd and you could win a really nice prize. Dish of the Day from 2010 New York Rising Star Pastry Chef Alex Stupak of Empellon Cocina – New York, NY: Swordfish, Gooseberry Salsa, and Masa Chicharrónes. Stupak showed the Main Stage crowd the versatility of learned pastry skills, branching out into savoury with this creative masa glucose chicharrón dish on Day 2 of the ICC! See it all here. Isn’t Mrs Tyrell an awful woman, trying to frighten the life out of me with tales of spooks and ghosts, even witches. No. Not really. The good lady is just trying to tip me off about some really good wines offers at The Wine Store. Check them out here. 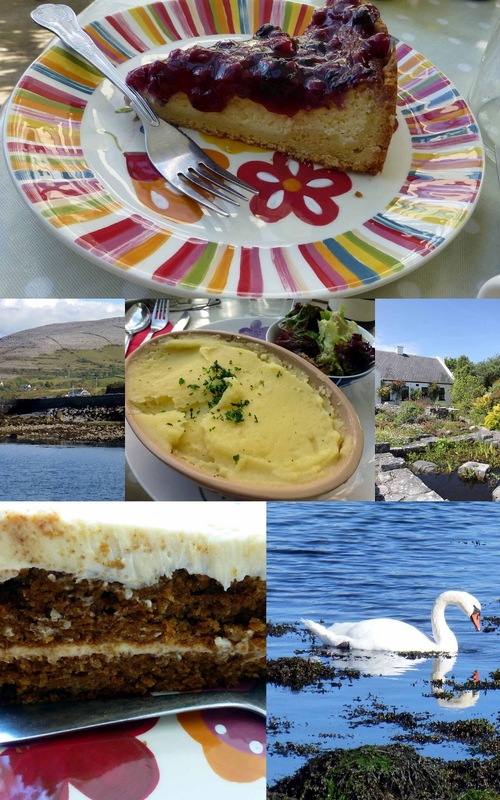 If ever you find yourself in Ballyvaughan or anywhere near it, and there are quite a few good reasons why you should be in the area, then be sure and check out the lovely Tea and Garden Rooms run by Jane O’Donoghue in the scenic village. Perhaps the best reason for calling to Ballyvaughan is to visit the Burren. There are quite a few routes to take through and around the Burren but perhaps the most spectacular is the coast road, up from Doolin, via Black Head and from there to Ballyvaughan. 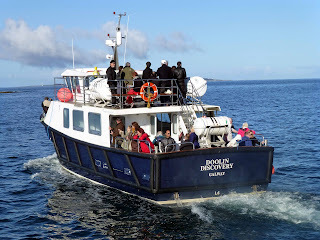 You’ll have the Burren on your right and Galway Bay and the Aran Islands to your left. There is also a smashing walk in the area. Whether walking or driving, you now deserve a break. Park the car by Ballyvaughan harbour. Enjoy the scenery, the grey mountains and head into the Tea and Garden Rooms. Have a look at that large table groaning with freshly made cakes and head for the conservatory or indeed take a seat in the lovely garden. If you just want a cuppa and cake, this is the place. Maybe you want lunch. Again, this is the spot. I really enjoyed a tasty fish pie here recently and followed that with a visit to that tempting table. Needless to say, I didn’t come away empty handed. Study that garden, have a look at the fish in the pond before you depart to finish your circle of the Burren. And they are open, at the weekends, for November. So why not take a trip to Clare and the Burren. 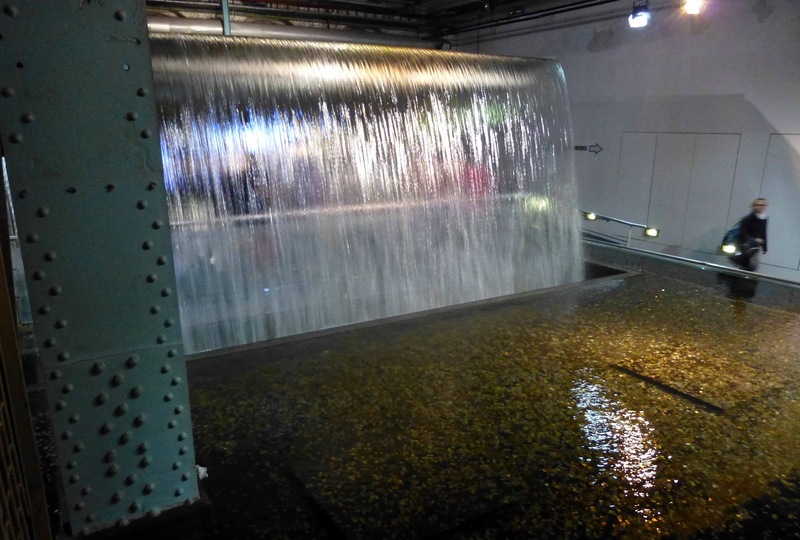 You’ll be there in no time, thanks to that Limerick tunnel. No one could resist this line-up on that celebrated cake table. I certainly couldn’t! Claire and Brian Scally in Fermanagh. 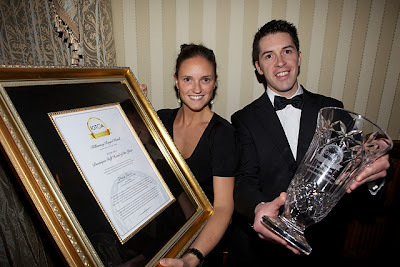 Claire Scally of the Killarney Royal was in great form in Fermanagh this week, delighted that the family run hotel has been awarded the Irish Golf Tour Operators Association’s Boutique Hotel of the Year 2012. With over 110 years of welcoming golfers from all over the world to Killarney Royal, the hotel has been officially recognised as a forerunner (pun intended!) in Irish golf tourism and the night was one of big celebration for Claire and her team. The proprietors, Joe & Margaret Scally and family, and all the members of the team at Killarney Royal were overjoyed to receive this prestigious honour at the glamorous awards ceremony held at Lough Erne resort, Fermanagh. The award was presented to Claire Scally by IGTOA Vice Chairman and Director of Lynchpin Tours, Mr David Hudson, and celebrity presenter, GAA star Peter Canavan. 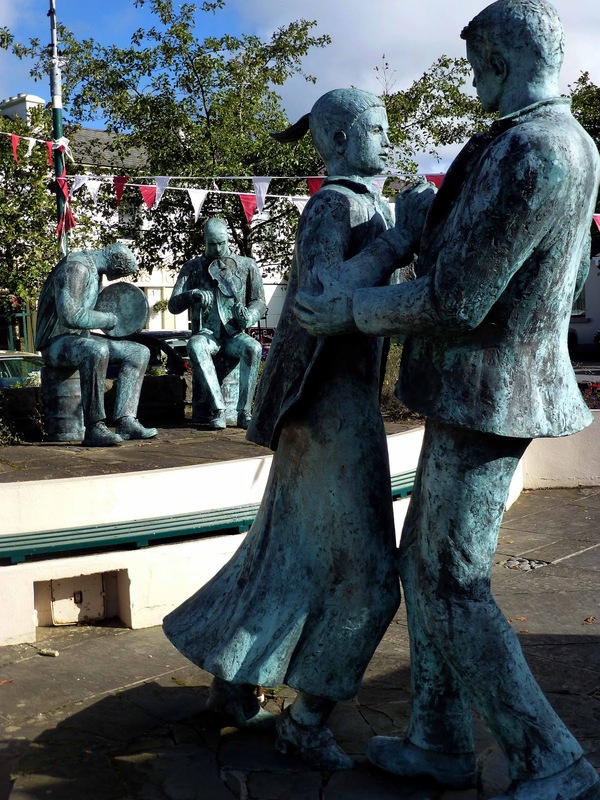 The Killarney Royal Hotel, where I enjoyed a short stay last year, is the little sister of Cork’s Hayfield Manor and the Cork focus for the coming weekend is on the Jazz and they are, in addition to the music, marking it with the annual Gallery Kinsale Jazz Exhibition. Ken Buckley of the gallery: “Three of our artists have committed to this year’s exhibition including the official Jazz Festival Commemorative artist 'Mia Funk'. Mia's painting "The Cork Jazz Audience" was commissioned by The Jazz Festival Committee last year in recognition of Guinness thirty year sponsorship of the festival and, this Thursday 25th, the painting will be presented by Diageo to the people of Cork at an official unveiling ceremony by Cork's Lord Mayor John Buttimer at Cork International Airport where it will permanently hang in recognition of the important link between Festival and Airport. Mia has reproduced two similar studies for the exhibition in 'Jazz Blue'. Visit our website to view the exhibition of work including Watercolour sensation Barbara Barrett and West Cork community Arts activist Derdre Keohane. Mark November 16th 2012 in your diary. Fenn's Quay is the place to be that evening. Head Chef Kate Lawlor tells us why: "On that night, Fenn’s Quay will be inviting Seasons Supper Club to Cork after successful runs in Dublin. Former Master Chef contestants Conal and Richie will be taking over my kitchen for the night to serve up a 4 course menu." Seasons Supper Club is a nomadic pop-up Supper Club run by Bridin Carey, Conal Markey and Richard Speedie. The three cooks met during filming of Masterchef Ireland in 2011 and all share a love of great food in a relaxed atmosphere, where the focus is on the enjoyment of the evening with friends or family. 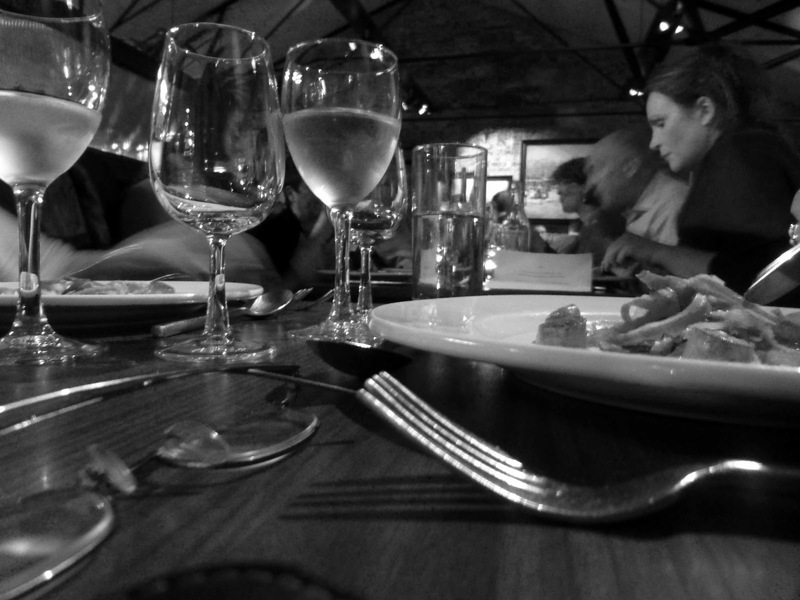 They try to create an environment where the food is only one aspect of a great night out. All ingredients are sourced locally where possible, and menus are designed based on the season featuring the great produce to be found in Ireland. The cooks work closely with each venue’s Head Chef to design the menu and ensure a memorable night. To date there have been three nights; two for Autumn 2011 - hosted at Brasserie Le Pont, and one for Winter 2011 at Eden Restaurant. The nights were all sold out and they have had positive reviews in both the Irish Times and Sunday Times, and on popular food blogs around Dublin. For Autumn 2012, with Bridin on Maternity leave, Conal and Richard are partnering with No.5 Fenn’s Quay in Cork and are also running 2 nights in Dublin, in Medley, by Andrew Rudd, which will be the first non–restaurant events. 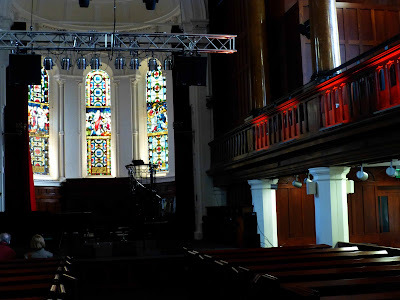 Both Dublin nights sold out within two days of announcement and Cork is beginning to sell rapidly too. Ballymaloe seem always to get it just right. 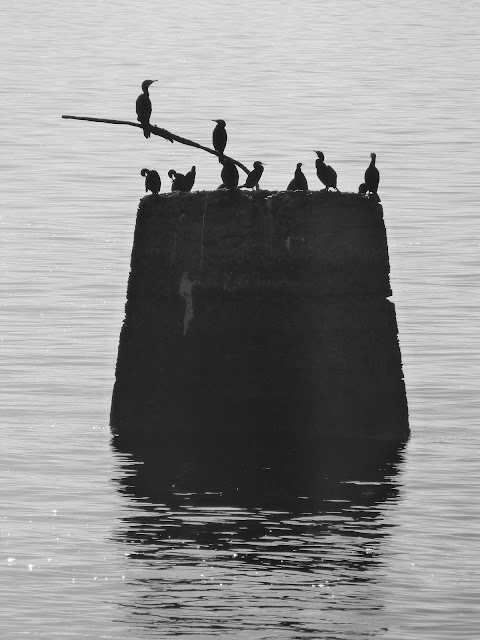 The balance is always so perfect. Did you ever try the relaxed Sunday lunch there? You should. 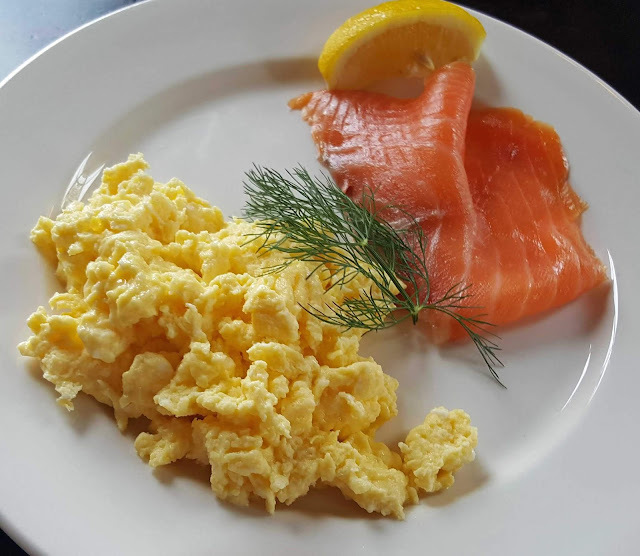 The warm welcome, understated class and under bottom comfort, the perfect easy going service, and, of course, the most natural seasonal foods served up with care and love, ensuring that the quality from the farm and garden is carried through to the table. They do, however, make sure that you arrive on time. This is a buffet and they want you to enjoy it at its best. So do yourself a favour and arrive a few minutes before 1.00pm, the appointed time. That is the end of the “pressure”, the beginning of a relaxing dining experience. And you never know who you might meet. A family, kids and all, out for a quite celebration, other groups and couples. And I was lucky enough to meet up with Paulo Tullio. Had a nice chat. He told me he had enjoyed his meal in town on the previous evening and was very impressed with the amount of fish on offer in Cork restaurants saying they don’t get it as much on the East Coast. After the warm welcome, we were guided to our reserved table. Two adjoining high ceilinged rooms, each comfortable with plenty of space between the tables, serves as the dining area with a long table in an adjoining room carrying the buffet. But first came the soup course. We had a choice of two. One was Pea and Chill while the other, the chosen one, was the Celeriac. This was a superb creamy tasty warming blend, a promising start indeed. Then we were invited to fill our plates at the long table. Choices, so many I can hardly remember. Salads, pizza slices, quiche slices, cheese croquets, gorgeous temping vegetables, a fish dish and no shortage of seafood (mussels, calamari, etc), roast potatoes (well it was Sunday) and juicy joints of meat. I made the lamb the centrepiece of my plate but couldn’t resist adding a little bit of the bacon and its special sauce (lots of sauces). The lamb was juicy and tender and indeed the whole plateful was spot on, all helped on the way by a glass of Pena Roble (Ribero del Duero, Spain). If you didn’t get enough food first time, don’t worry, you are welcome to visit that long table again! But I was happy enough with my amount and relaxed for a while before the dessert trolley was rolled out. Now I was on full alert again! Quite a few choices but settled for some of the Lemon Roulade and the Apple and Blackberry Tart. Quite a contrast here with the sophisticated mix of the roulade and the rustic crusty tart. Both brilliant! Time then for a coffee or two before heading out into the Autumn sunshine, weak but welcome! 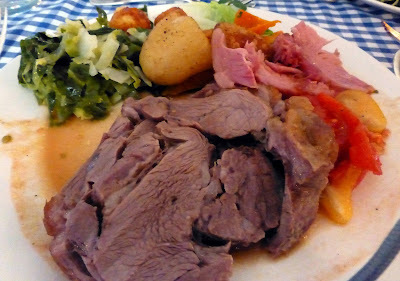 Sunday lunch at Ballymaloe costs €38.00 per person. 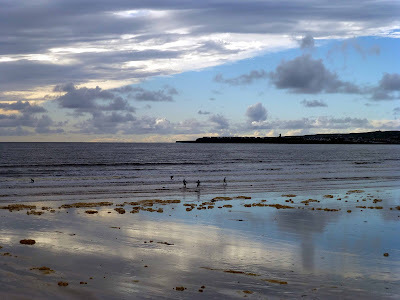 The Lahinch Golf and Leisure Hotel was our comfortable base for a recent short trip to the northern corner of County Clare. 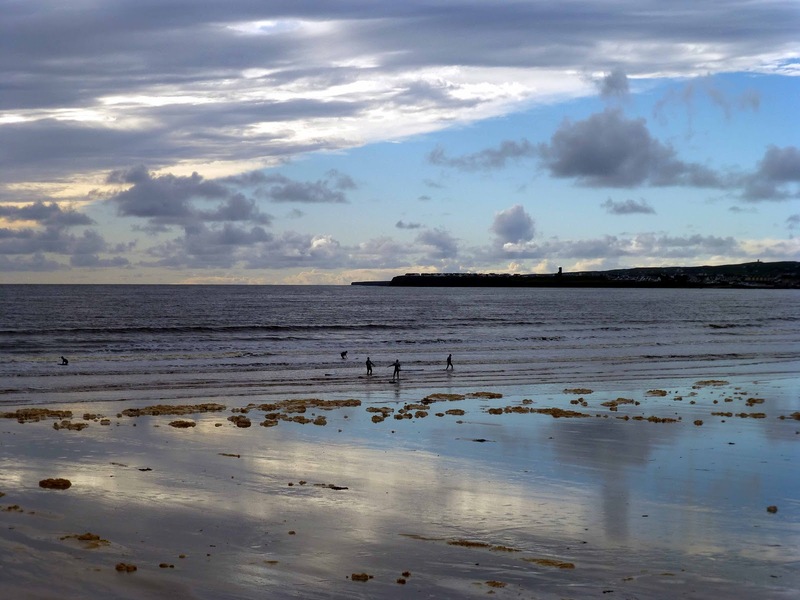 Lahinch is famous for its golf facilities and the other sport that draws big numbers to the Atlantic town is surfing. Both sports are well catered for. But we weren’t there for the sport! Well nothing more strenuous than walking along the lovely beach, just a few yards from the hotel. We had people to meet in places such as Inagh, Lisdoonvarna and Ballyvaughan and spent a good deal of the time touring. Liscannor is just up the coast road. We arrived there in a peaceful sunny morning, walked along the pier among the currachs and the lobster traps and enjoyed the views. 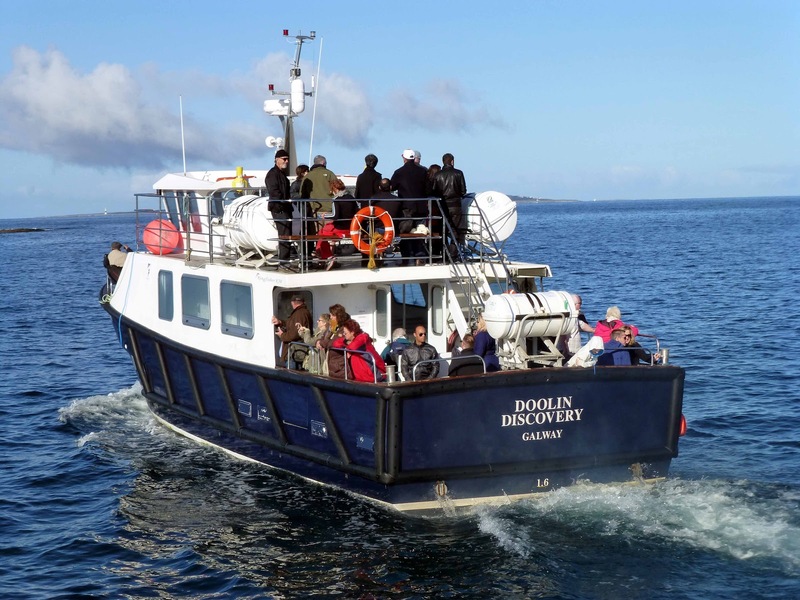 Next stop, after passing the entrance to the Cliffs of Moher, which we visited on a different day, was the pier at Doolin, where ferries leave for the cliffs and the islands. 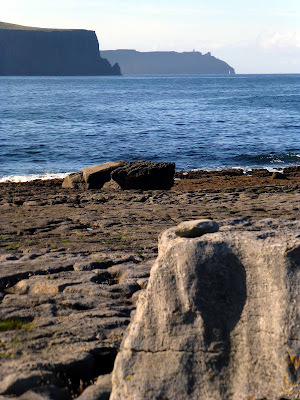 We walked along the flat rocks there and took in the scenery, looking north to the Aran Islands and south to the Cliffs of Moher. And then there was a bonus for us city dwellers. We heard some people shouting “dolphins” and ran to the water’s edge where we could see four of them dashing through the water, right into the harbour. Indeed, one, maybe two, came right alongside a docked ferryboat, full of tourists. Quite an experience in the Autumn sunshine. We were heading for the Burren and a beautiful drive around the coast to Ballyvaughan via Black Head. 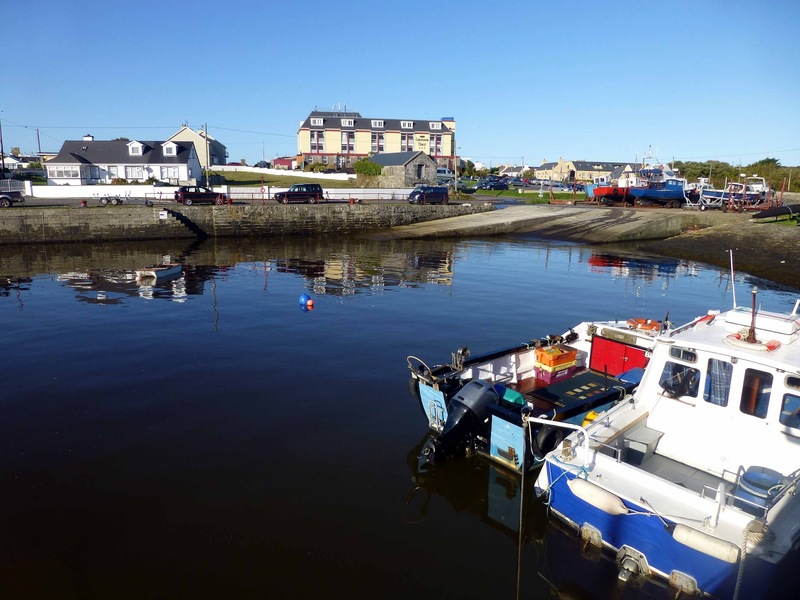 As you can see, Lahinch is a really suitable base for the major attractions of the area, namely the cliffs and the Burren. And there is much more to do here and I intend going back and visiting attractions such as Doolin Cave, The Burren Centre (Kilfenore), Ailwee Cave and Birds of Prey, Burren Perfumery, Caherconnell Fort and Dysert O’Dea. The hotel, which has a large parking area, was very comfortable. Service was top class, very friendly and helpful, exemplified by the two young men in the bar on the Friday night who kept the drinks and the food coming with efficiency and good humour. And reception came to the rescue by lending us, from a decent selection, a suitable charger for a mobile phone! Recommended. 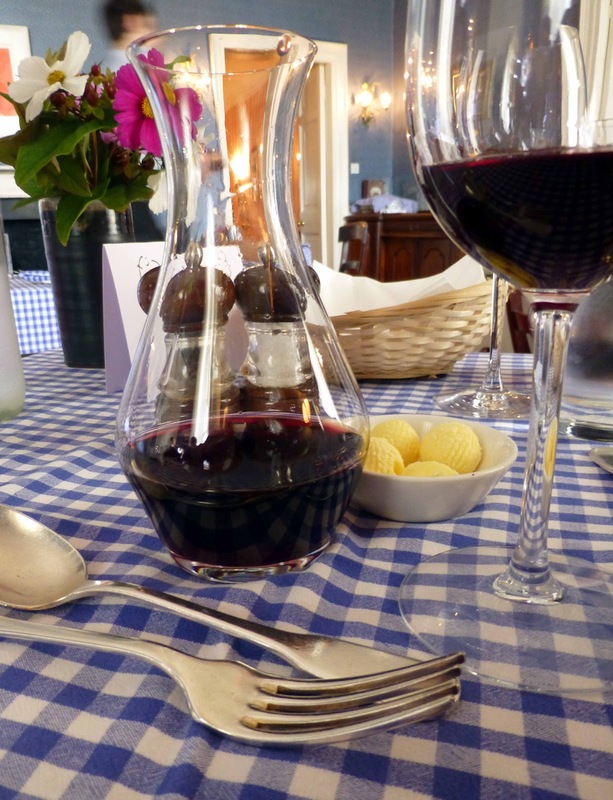 Thursday turned out to be quite a night at The Cornstore with Bordeaux’s Chateau Bauduc providing the wines for an excellent five course meal. 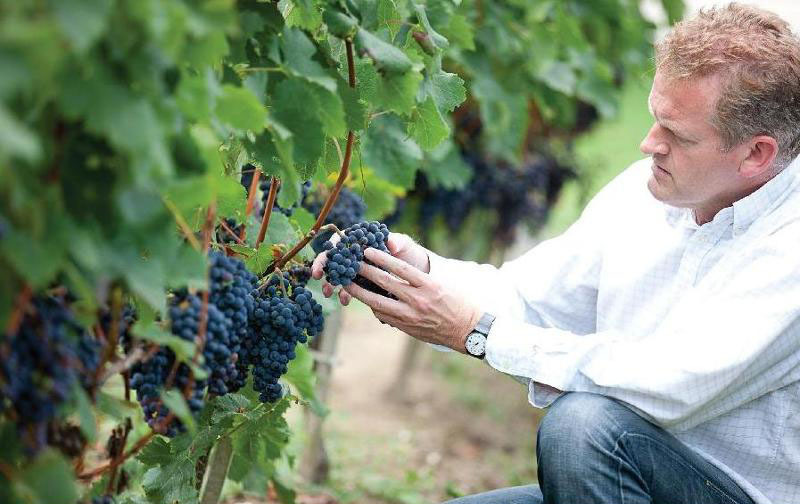 Gavin Quinney (and family) took over this chateau in 1999 and led it from strength to strength. It is quite a story and may be read here. Enjoy a ‘Taste of Tuscany’ in County Cork, at The Grain Store, Ballymaloe, with the following producers, in association with Liberty Wines. Thursday 8th November, 7pm, €24. Advance booking advised. 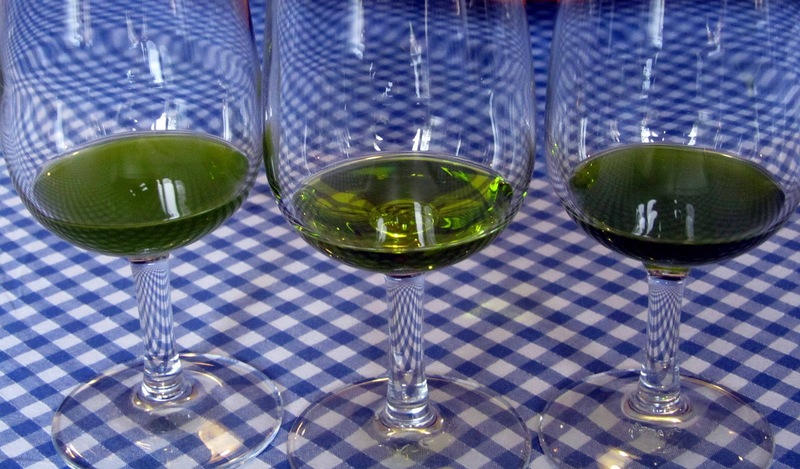 Would you like a break from the usual Sauvignon Blanc, Chardonnay and Pinot Grigio? There are some terrific examples of those grapes out there but I had been looking for some alternatives recently and hit the jackpot with the Lorenz at Karwig’s in Carrigaline. And I still have some Riesling and Gruner Veltliner to try from that visit. Gleeson incorporating Gilbey’s, Ireland’s largest wine distributor, scooped a total of eight accolades at the recent National Off-Licence Association (NOffLA) Awards for a variety of their wine brands. These awards include four gold medal awards, one silver medal award and three bronze medal awards. Hanleys of Cork (Garden Centre) and Jam Café are gearing up for another haunting Halloween with limited edition Halloween barmbracks in aid of the Children's Ward at Cork University Hospital. The artisan barmbracks which will retail at €2.80 will see €1 from each sale going towards the children’s ward at CUH.Bracks will also contain in-baked exclusive prizes including a specially designed ring by Kenmare designer Paul Kelly worth over €500, vouchers to the value of more than €1,000 from Hanleys and a weekend break in the Brook Lane Hotel, Kenmare. Speaking of the special Halloween barmbrack, James Mulchrone, Jam Café said, “The humble barmbrack is still one of the main Halloween treats that spring to mind around this time of year and is a uniquely Irish tradition. We are giving the old symbols found in the barmbrack a new twist so there will be no such thing as bad luck from a piece of cloth with our bracks. Instead, more than 200 will contain prizes and donate €1 from each brack to a great cause, making everyone a winner!" Brian and Kash (above) are rebels! So much so that they're organising a "Rebel fusion" taster menu in November in association with L'Atitude 51 Wine Bar. They're taking traditional Cork ingredients and turning them into dishes inspired by different countries. We'll let you know when tickets are on sale..we're only allowing 50 places! Should be a great night! filling the logs, eating up, and the Ash log. 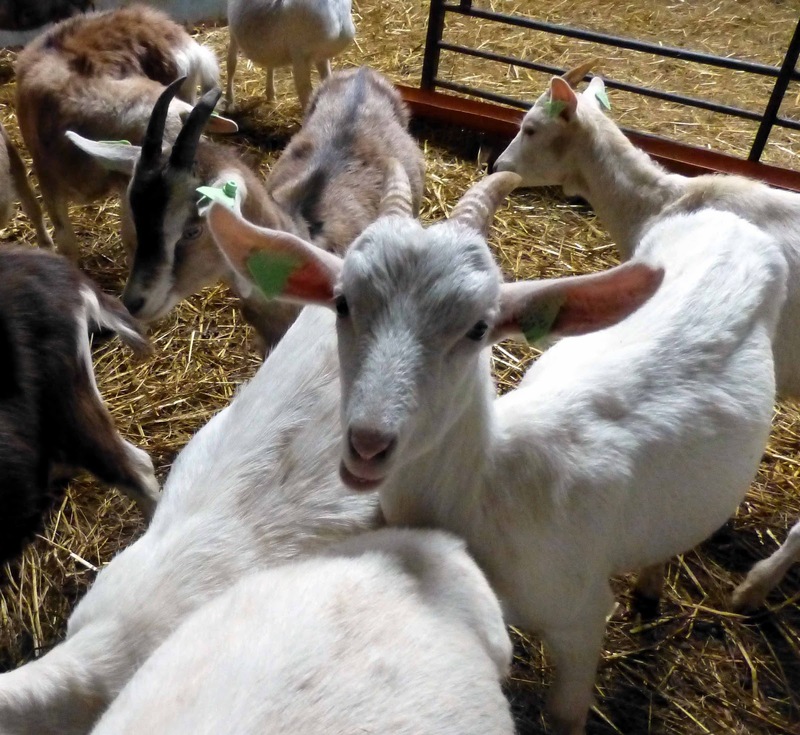 The goats, all three hundred of them, at St Tola Cheese near Inagh in County Clare, are looking forward to a better summer next year. “They don’t like the rain,” said our host Grainne Casey, who looks after Sales and Marketing for the organic farm. The goats didn’t get out as often as they’d like this year but still they were well looked after. The grass was cut and brought into them. But it’s not only the animals that will be looking for a better 2013. Keeping them indoors for extended periods has added hugely to the farm’s costs, as organic feed is not easy to get and costs three times more than your normal feed. Grainne introduced us to cheese maker Carmen Gal, who is responsible for all aspects of the production operation. 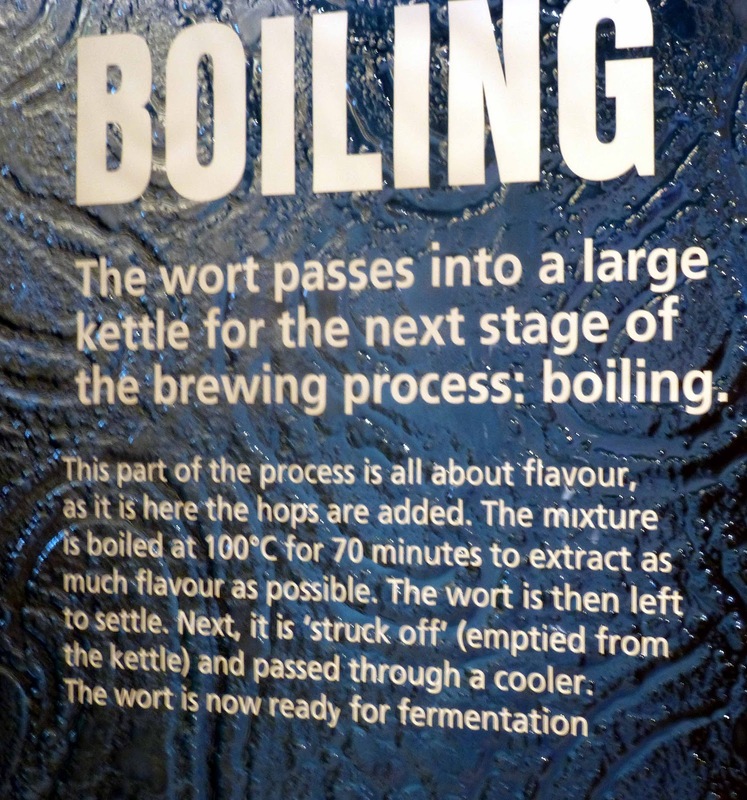 Then we enjoyed a very interesting tour of the facility during our recent visit. Grainne explained how the cheeses are made. 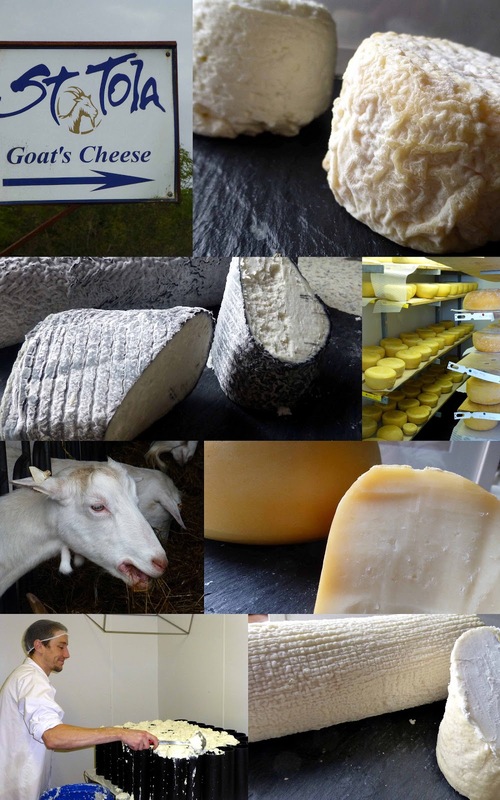 There are two major types, the regular soft cheese that most people are familiar with and also a lovely hard cheese. 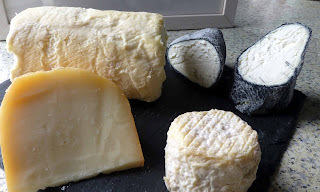 St Tola, under Siobhan Ní Ghairbhith, who took over the reins in 1999, never stands still and have within the last 12 months or so introduced the distinctive St Tola Ash Log, a beautiful creamy cheese that has an ash like covering (edible charcoal). One of the little girls! The hard cheese is weather dependent, made only in summer with surplus milk. In a good year, St Tola make it from May to July/August but this bad summer they were curtailed to making it from June to mid July. Then it was time to meet the animals and, first of all, Grainne introduced us to the “little girls”, most of them born in April or May of this year. Beautiful friendly creatures and so too were most of their elder relations. We didn’t get too close to the Pucks. Apparently they stink! Not too many males “survive” here but those that do have quite a choice! St Tola started off with three different breeds originally, the idea being to get a good balance of milk, including a good proportion of the cream that helps give the cheeses it gorgeous texture. When they are not indoors, the herd has some sixty five acres to roam around. All was quiet in the shed, which has one side partly open to the outdoors, until Petru Gal, the Farm Manager, appeared on the scene. 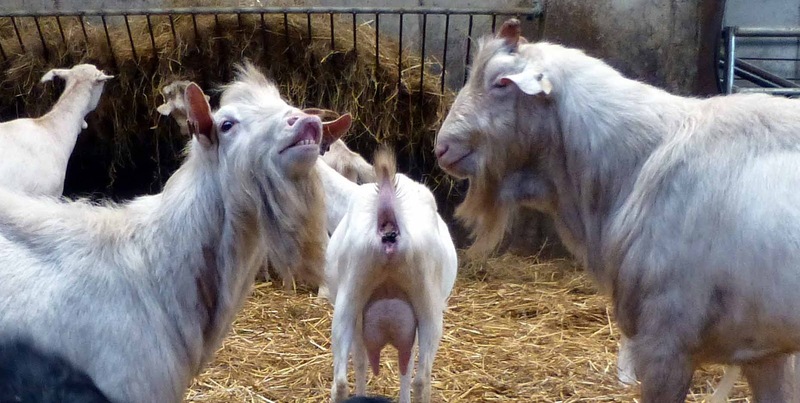 Then the goats created quite a din, perhaps expecting an extra treat. Petru, a skilled herdsman, has been here since 2003. The milking is quite an operation and is done twice a day. The facility is mechanised, the ladies are led in to the parlour, their movement restrained, the reward is a little treat, and the whole operation takes about ninety minutes in the morning and the same in the late afternoon. Two hundred are milking and they’ll let you know if you are late! 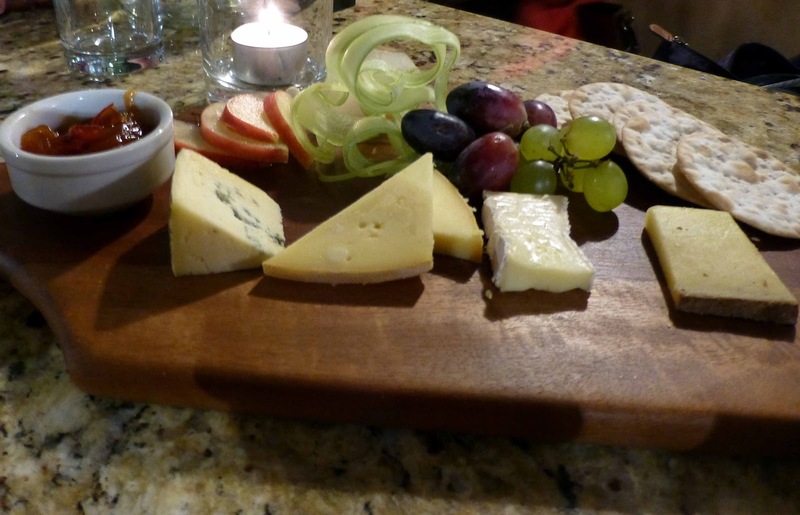 After the tour, we sat down with Grainne and enjoyed a cuppa and a cheese tasting. The room was a reminder of how far St Tola has come as it is decorated with many awards, from Ireland, Britain and Europe. The products are widely available and you may see the full list of stockists here. 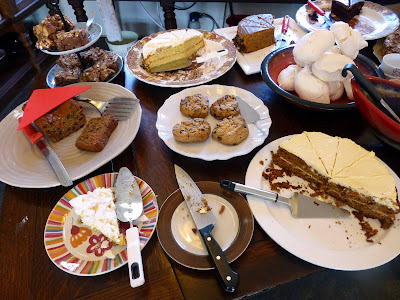 Even for one who has done more than his fair share of walking (and eating) around the city of Cork, Saturday’s Fab Food Trail proved to be something of an eye opener. Alice, from Galway, was our excellent guide and the other walkers were, surprisingly enough, all from Munster. 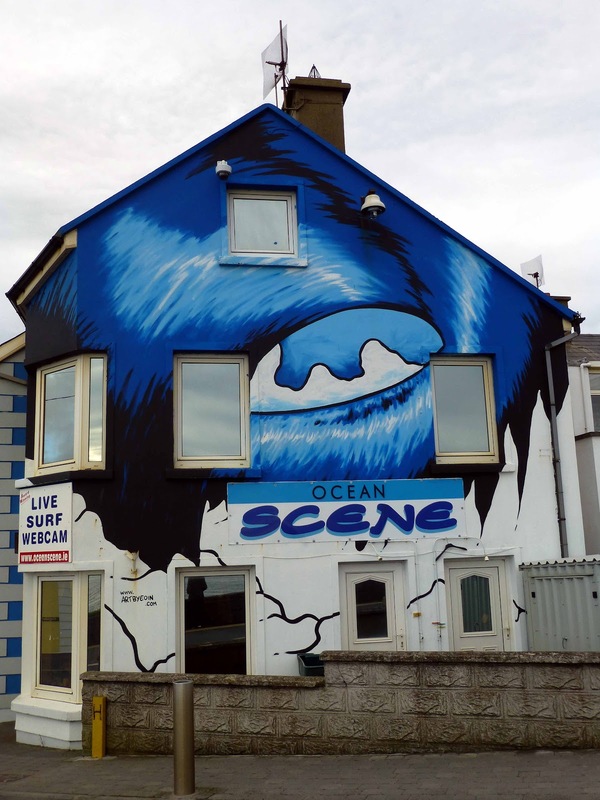 The eye opener for me came in the shape of the owners of the food venues, all very professional and absolutely friendly, and all willing to explain how they operated and all rightly proud of their operations and the local input. Met up at the English Market gate and headed first for the Gulpd Cafe at the Triskel whose policy is to buy local. Enjoyed a macchiato here and that was made from a single estate bean, roasted locally by the Golden Bean in Ballymaloe. Gulpd's butcher is Eoin O’Mahony in the English Market and he could well feature in the menu when they realise their plans to do Sunday lunch. Alice took us on a little tour of the restored Christchurch, a Triskel venue for theatre and music. Must go back again soon for the full tour which they do on Tuesdays and Thursdays. More history now, Alice explaining briefly about location of the old city as we walked down to the end of South Main Street. The Co-op Cafe in Sullivan’s Quay is a regular stop for this tour but not on this occasion. Crossed back over the river again and headed to Nash 19, no better place! Head Chef Pam Kelly took time out to explain their philosophy of supporting local producers. 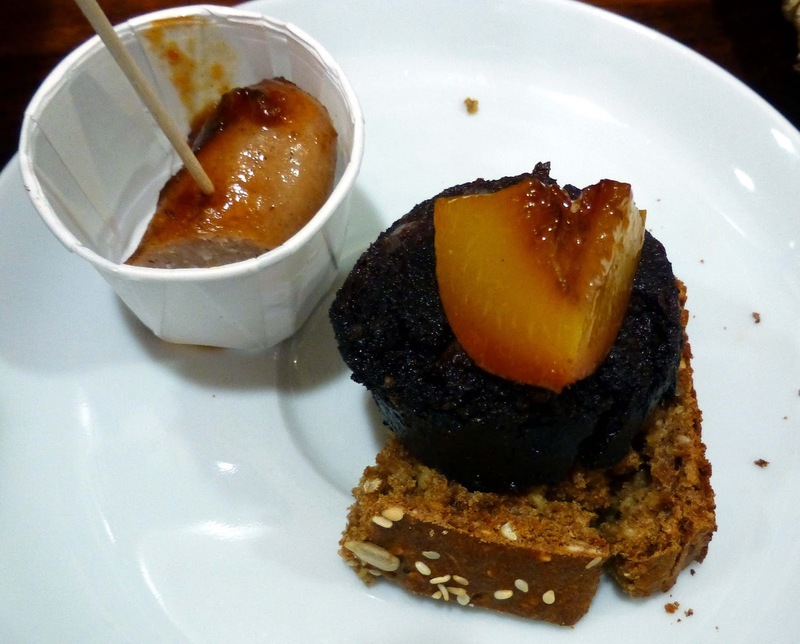 And that philosophy was tastily illustrated when we each received a mini-taster that included Jack McCarthy’s famous Black Pudding and the soon to be famous Lordan's sausages that are regulars on the menus here. 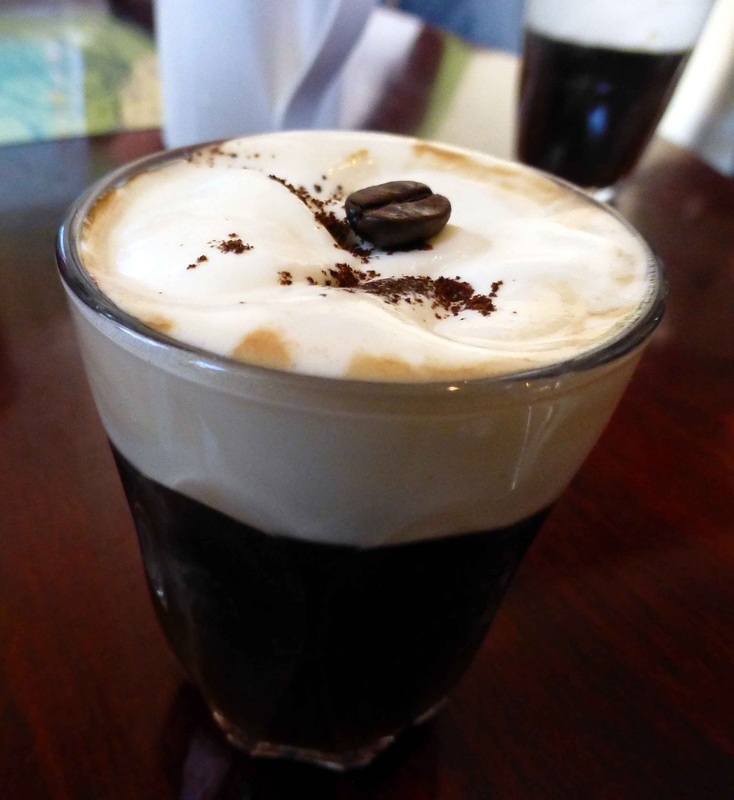 Across the road then for some hot chocolate and some nice samples at O’Conaill’s. Great friendly staff there as well and they sent us off with a little gift pack that didn’t last too long! Wouldn’t be a fab food trail in Cork without a visit to the English Market. 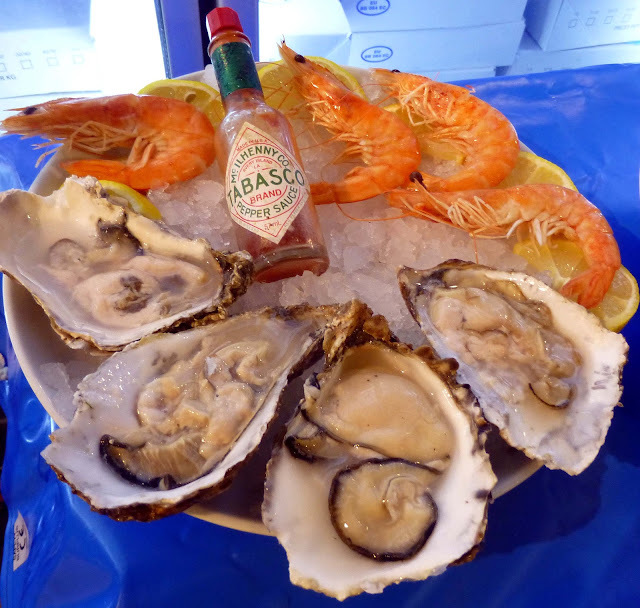 The big stop here was at O’Connell’s Fish Stall where we were treated to oysters, mussels and quite a few other samples. Had a brief chat with Eoin O’Mahony at his butcher’s stall before we were taken up the Parade and across to the Roundy, where Alice pointed out the city’s development on maps inlaid on seven tables in the bar. Soon though our eyes were on the Irish Whiskeys that were laid before us by owner Frank Bradley and one of the party was delighted to have found a natural venue to watch Munster’s Heineken Cup game late in the afternoon. A few steps later, we landed in the Cornstore and another warm welcome. Mike Kelly then joined us and told us something of the history of the street, including the fact that the building once housed a potato market before becoming a corn market. Local food then and local food now! Mike told us they source locally, getting quite a lot of their meat from, you’ve guessed it, O’Mahony’s. Fortified by a delicious cheese plate, we headed out into the sunshine and a short stroll down to the Saturday Coal Quay street market. And more food. Here, they had a table laid out with samples from virtually every stall holder. Really enjoyed those and, then suddenly, that was it. The two and a half hours had flown by and it was time to say goodbye. Very enjoyable morning in Cork that confirmed for me that we have a good thing going on here and what better way to show it to visitors than via the Fab Food Trail. They also run one in Dublin. Check it out! Clockwise from top: Skate, Fish Cake, Tiramisu, Beet salad, Lemon Tart. The view of the River Lee from the dining room at Indigo Brasserie is brilliant and so too is the food, as I found out on a recent visit. The Indigo restaurant, part of an aparthotel complex on a riverside site, is built to match the curve in the river just below St Finbarre’s Bridge and it would be hard to beat the location. But, of course, the food is the important thing in any eatery and, make no mistake about it, the Indigo came up trumps. There is also some extra info on the menu, including portion weight and calorie count. The Brassiere is comfortable and service is friendly and efficient. Indigo Fish Cakes (129g), With Tossed Greens & a Citrus Salad €8.00 (230cal/100g) was my starter. No shortage of fish in the cake and the salad, with that citrus twist, was a delight. And CL also came up trumps with her starter: Roasted Beet Salad (CF) (261g), With Ardsallagh Goats Cheese, Rocket & crushed Walnuts €8.50 / €14.00 (171cal/100g). Another top notch dish; the beets were done to perfection and the whole effort was so well balanced and tasty. With an Orange Brown Nut Butter, Black Olives & Chive €16.50 (120cal/100g). Don’t think I ever had skate before but no bother. Found my way around it with a few tips from Maurice, the Maître d' and a keen Munster rugby fan. The flesh has good texture, not unlike chicken, and a lovely mild taste. Really pleasant and the sauce was light and perfect. No heavy sauce either with CL’s fish dish: Roasted Cod Rarebit (CF) (335g), With Roasted Tomatoes €19.00 (151cal/100g). The tomatoes provided the necessary moisture and the topping (cheese, mustard seed and lager) was thin and tasty. Another winning dish where the main ingredient was given room to shine. We weren't taking that much notice of the calories and they certainly didn’t stop us from moving on to Dessert. Tangy Lemon Tart €5.50 (160g), With a Lemon Curd Sauce & Candied Lemon (260cal/100g), was my choice. After the previous courses, I was expecting something good and, boy, did I get it. Loved every bit of it, especially that candied lemon. Tiramisu €6.00 (155g), Made by our resident Italian Chef, served with a Caramel Sauce (395cal/100g) was the second dessert and that too was just fabulous, moist, sweet and entirely devour-able. Their Italian chef is Giovanni. He works from a very small kitchen but sure comes up with some mega tastes. So grazie mille to Maurice and Giovanni for a wonderful meal. Highly recommended! Sometimes a quick reading of the menu can lead you astray and you think there is little that is exciting here. Pork Fillet, Pan Fried Salmon, Roast Cod, Thai Green Curry. You’ve seen them all before. Right? But have you seen them in Jacob’s on the Mall? Here, under Head Chef Trisha Lewis, they do it differently, as I found out this week. Quite a few delightful surprises over the evening and it was two happy customers that walked out into the South Mall gloom. Let’s start at the start, with the Water Melon Salad. But let us read this menu a little more closely: Black pepper, ginger, watermelon salad with pineapple, feta and red onion. A bit of pep here, you might think. And you’d be right. This is a very thoughtful blend, a really lively one on the palate and shows just what you can do with such a salad. Loved it, especially the inclusion of the red onion. And CL’s Crispy chicken wantons with fennel, red onion and peppers, Szechuan dressing and spicy dipping sauce was another starter that brought the appetite to attention. Tasty, lively, spicy. Another class starter. In between courses, we were offered and gladly accepted a sorbet. The chilled Strawberry Sorbet was just the job, with real body and real flavour. Could almost have passed for a dessert. 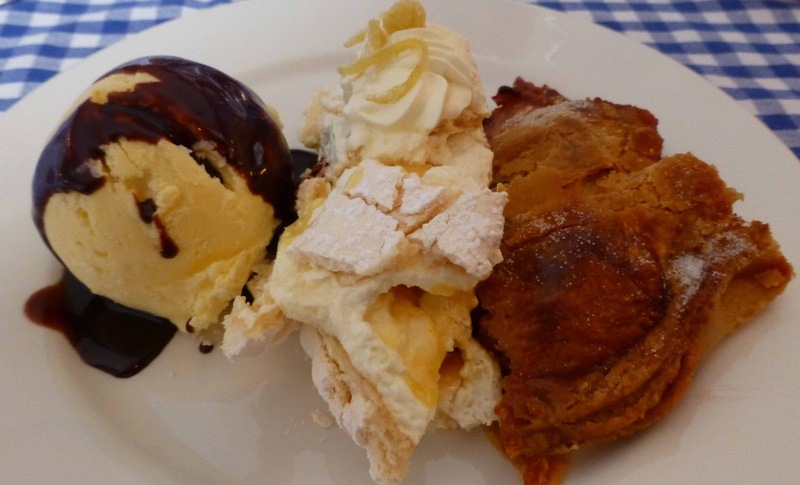 If you ever travelled on a bus tour in Austria, staying and eating in budget hotels, you’d be fed up of pork for ever after. But the dish I enjoyed as my mains in Jacobs might just convert you back. The Moroccan Spice Pork Fillet with turmeric rice, roast peppers and soy dressed leeks was brilliant, so well put together and so well cooked. Great colour here, with the rice and the pepper, the meat was top class, the leeks nice and crunchy, and the balance overall was brilliant. A terrific dish for under twenty euro! And CL’s was another top drawer winner. She enjoyed Pan-fried Salmon with warm coriander and spring onion crushed potatoes, vine tomatoes and root vegetable sauce. Every element played its part here, the fish, the potato mix, and believe it or not the root vegetable sauce proved a highlight. 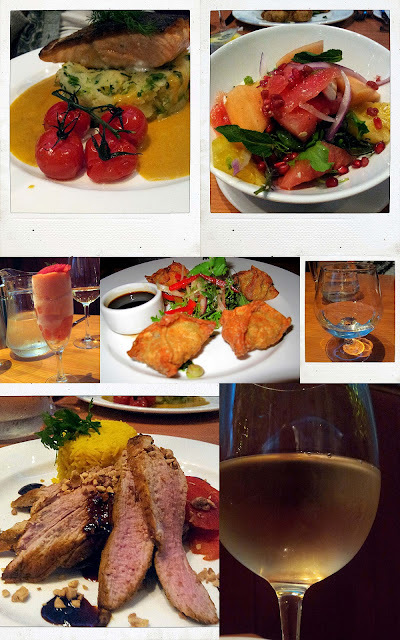 Had enjoyed a few glasses of Ta Moko Sauvignon Blanc (New Zealand) with the meal and, skipping dessert, finished the enjoyable evening - place is comfortable and service is friendly and courteous - with a warming glass of Cointreau. Cork’s Cornstore is the place to be on Thursday 18th October when ace wine-maker Gavin Quinney of Chateau Bauduc presents some of his top wines. And it won’t be just the wine. The Cornstore have an accomplished team and they be keeping their end up with five fabulous courses. 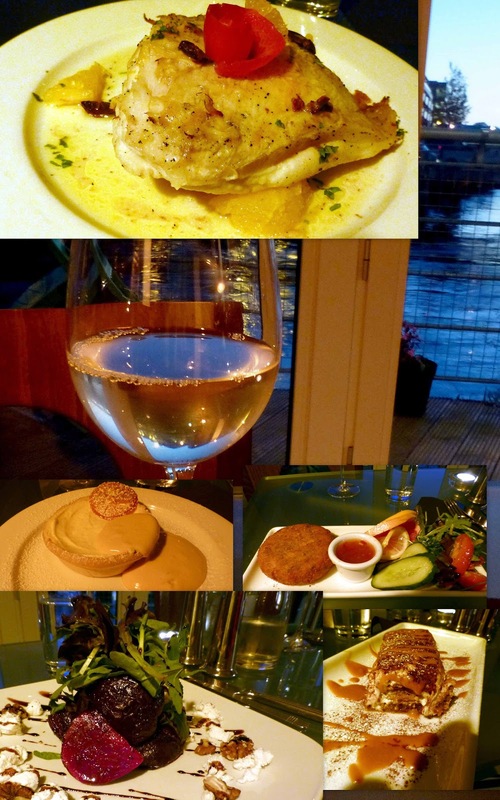 Five courses, five wines, all for €45.00. Château Bauduc is just 25 kilometres south east of Bordeaux and has been run by the Quinneys since 1999. They have been wowing the critics since soon after. Take this quote from Oz Clarke as an example: "Since the first vintage in 2000 the Quinneys have made Bauduc into a very smart operation, selling direct to consumers through mail order and the internet, and gaining regular listings with such star chefs as Gordon Ramsay and Rick Stein. The wine deserves it. Red, pink and white, they are utterly drinkable, each possessing a classic, mouth-watering Bordeaux texture and easy going fruit." Haven’t got the menu to hand yet but, knowing the Cornstore form in previous wine dinners, you can be sure it will be top class. A fantastic evening is on the cards. Where: The Cornstore, 40A Cornmarket Street, Cork. Bookings: 021-4274777. When: Thursday, 18th October, 2012, 7.00pm to 10.00pm. Tickets from Curious Wines: €45, bookable online here or by calling free on 1800 99 18 44. Includes five course dinner and matching wines. 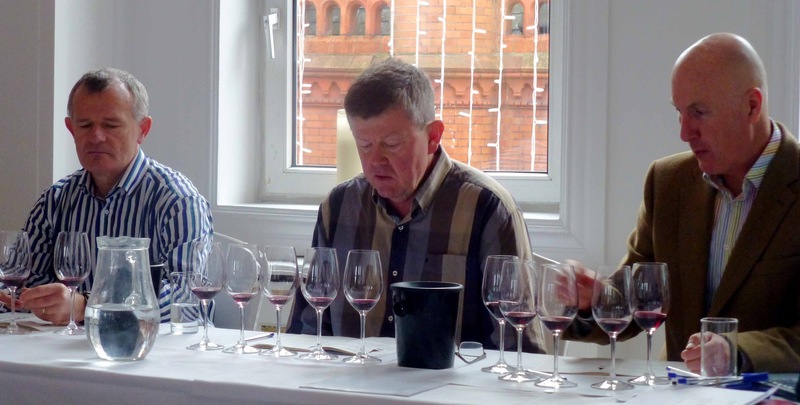 Santa Rita, the leading Chilean wine range in Ireland, is offering wine connoisseurs the ultimate ‘money can’t buy’ prize, an opportunity to rub shoulders with some of the world’s most renowned wine makers. If you’ve ever wanted to get up close and personal and ask all those need to know questions then here is your chance! To enter just create your personalised wine label and you could be in with a chance to win one of the fantastic prizes. Prize 1: An exclusive evening with Santa Rita wine makers at the Shelbourne Hotel, Dublin on January 18th, 2013. Enjoy a unique wine tasting experience accompanied by gourmet food in the company of people who grew, nurtured and produced our outstanding wines. “We've a pair of tickets to this event to win every week. A personalised case of delicious Santa Rita 120 Sauvignon Blanc wine that comes complete with your name on the label. We've got a case to give away every month." Recently L’Atitude 51 had a Cheese Wine Pairing evening. Smooth creamy textured cheese. Full flavoured, sweet with honey undertones that develop further as the cheese matures. A crisp dry white such as a Sauvignon Blanc or a Riesling would work really well with this cheese also. ‎The annual Savour Kilkenny Food Festival has another action packed schedule this year, starting on October 25th running through to Monday October 29th. 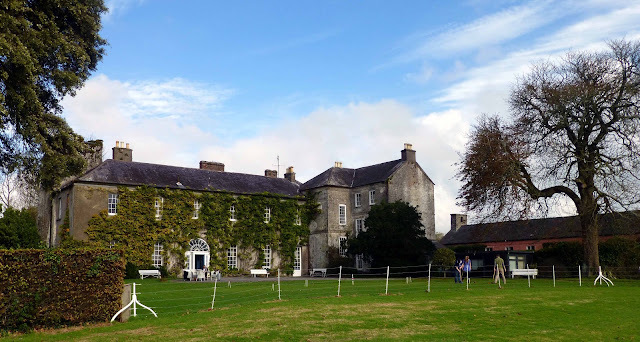 There are lots of new events, suitable for all the family, including 'The Mad Hatters Tea Party' & 'Savour Taste Buds' both in the Castle Yard as well as the Kids Agri tour at Cillin Hill. 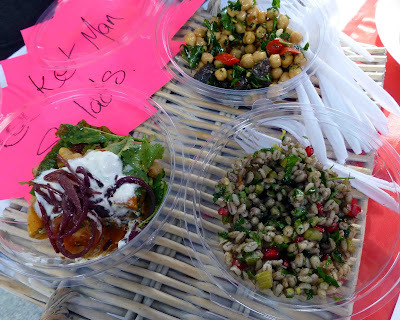 In addition to the food market and celebrity chefs' cookery demonstrations on the Parade Plaza, there are foraging walks, food talks and many very appealing dining events in restaurants and eateries throughout the city and county. Full details on all events on Savour Kilkenny. Rising Tide "On Fri 2nd Nov our Fancy Dress Halloween Party will take place. 4-course meal with champagne on arrival for €25p.p." West Cork Garlic ‏Seed garlic now available. Wild Honey Inn. A special place. Oysters. The Clarion's New Dining Gem!